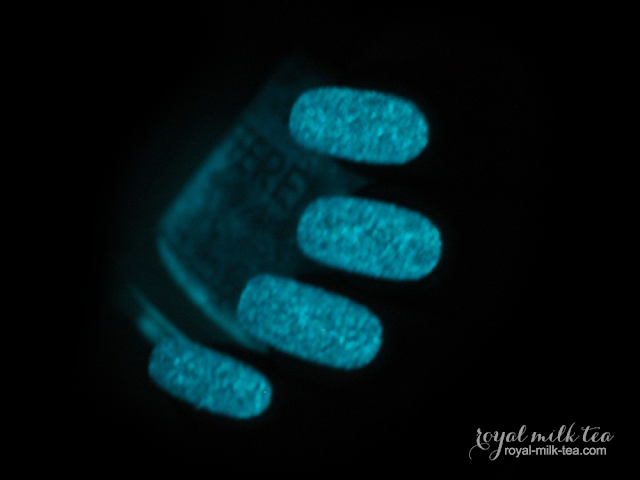 I hope you're ready for more crazy-beautiful holos from "The Holo Hookup," because tonight I have their newest December release box to preview for you all! 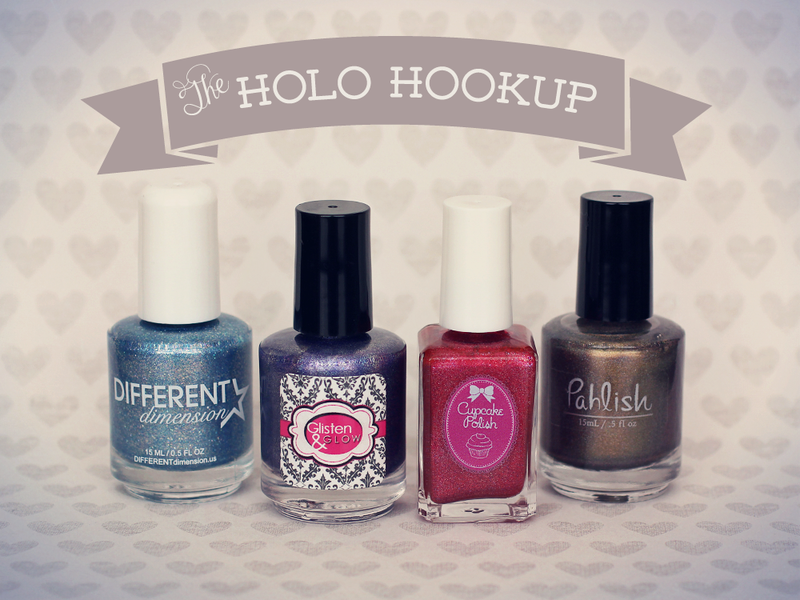 The Holo Hookup collaboration box includes Glisten & Glow, Cupcake Polish, and Different Dimension, and is featuring Pahlish as their guest contributor for this month. The theme of this box is "Natural Phenomenon," and let me tell you, they've really knocked it out of the park! Read my full post below for more photos and my review! 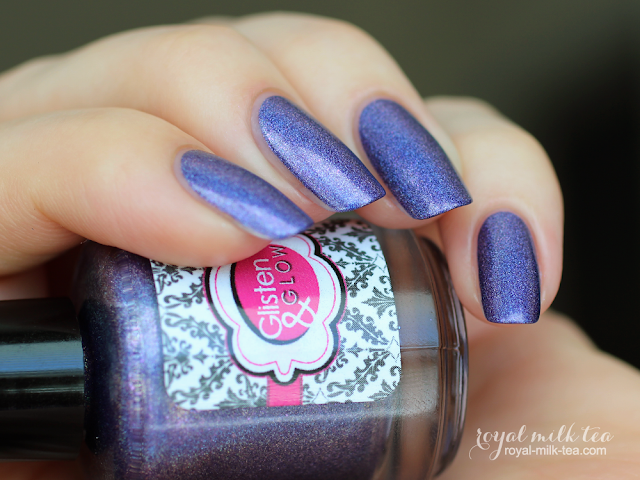 Glisten & Glow "Ball Lightning" is a rich blue-violet shimmer with an ultra-strong linear holographic effect and contrasting fuchsia sparkle. It's purple, so of course I love it! 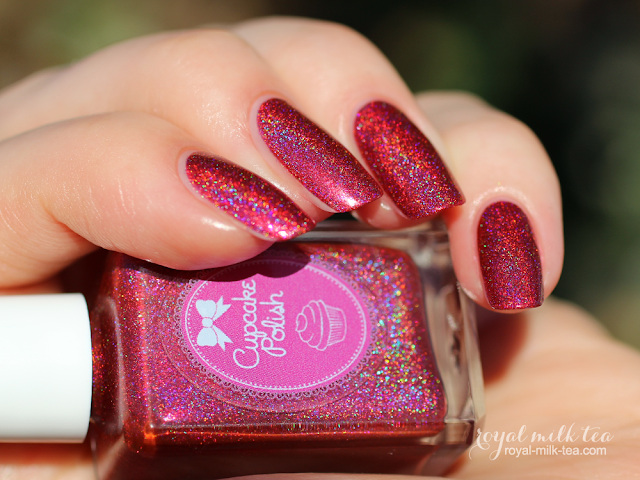 And the intense holo flame and beautiful pink sparks make this color even more breathtaking! 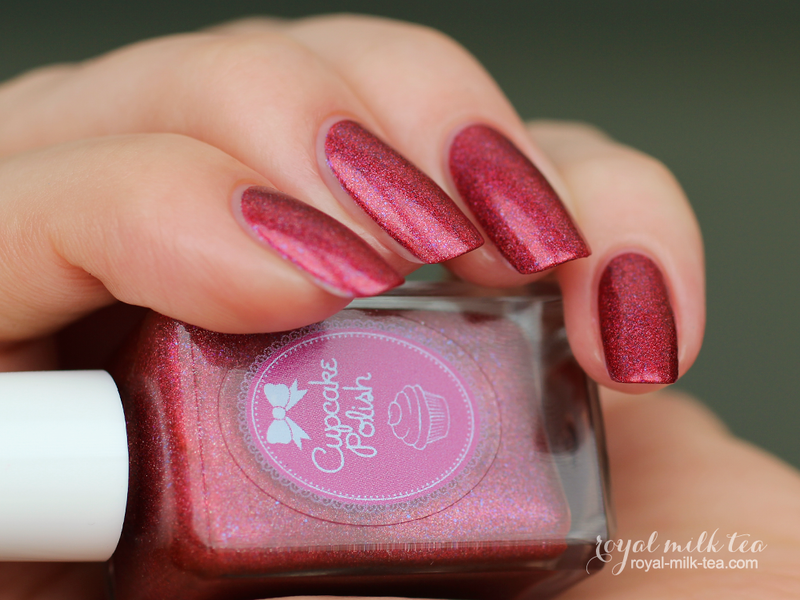 This had a flawless formula which applied easily and with great coverage in just two coats. Shown here is three coats plus top coat. 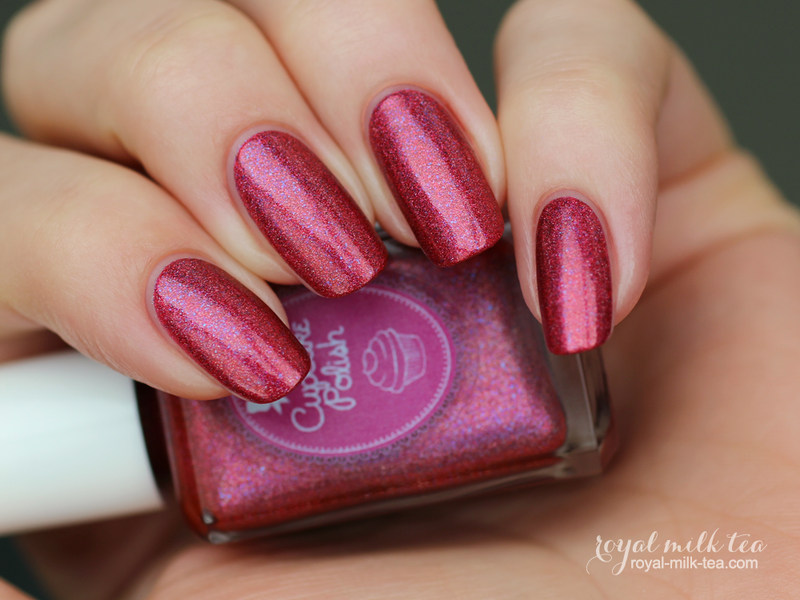 Cupcake Polish "Volcanic Lightning" is a rich ruby-red shimmer full of iridescent blue-violet sparkle and a super strong holographic effect. 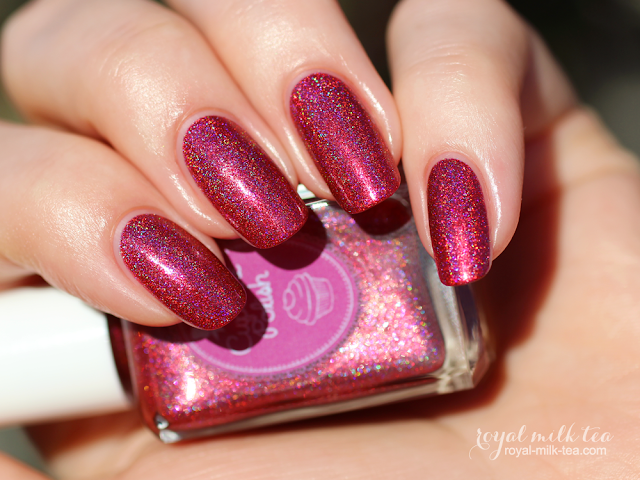 The holo is very intense, with a brilliant violet arc that gives it amazing, jewel-like depth. So beautiful! 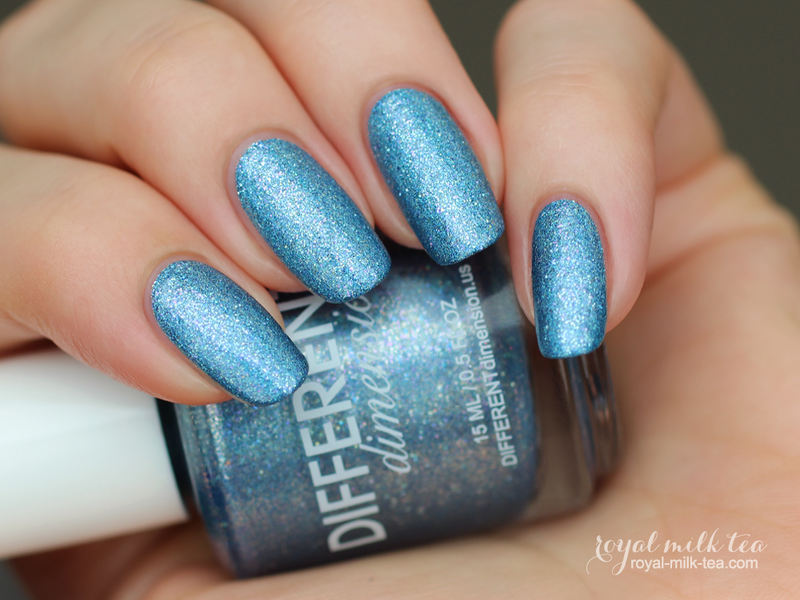 The formula was superb, and went on smoothly with excellent coverage in just two coats. Here I'm wearing three coats with top coat. Different Dimension "Bioluminescent Bay" is a powder-blue holographic base full of holo micro-glitter (either light blue or silver) and iridescent violet-blue sparkle. This color is so full of everything gorgeous-- glitter, rainbows, contrasting sparkle, and it even glows in the dark! The formula was excellent, and applied evenly and looked fully opaque in only 1-2 coats.. 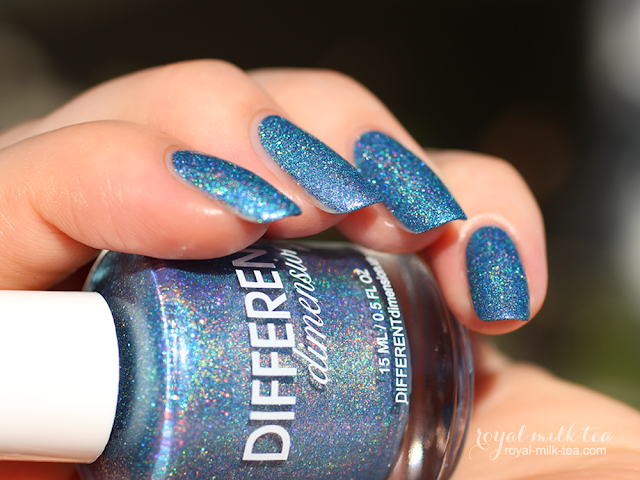 It did dry just slightly gritty due to it being so packed with glitter, but would smooth out nicely with a second coat of top coat, Pictured here is two coats and top coat. 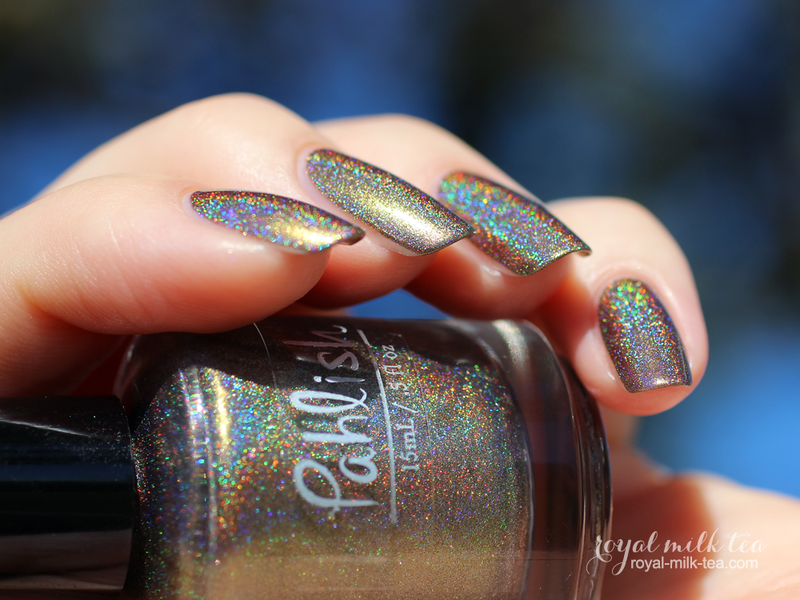 Pahlish "Chasing Northern Lights" is a metallic bronze/taupe with a subtle green shift and an ultra-strong linear holographic effect. 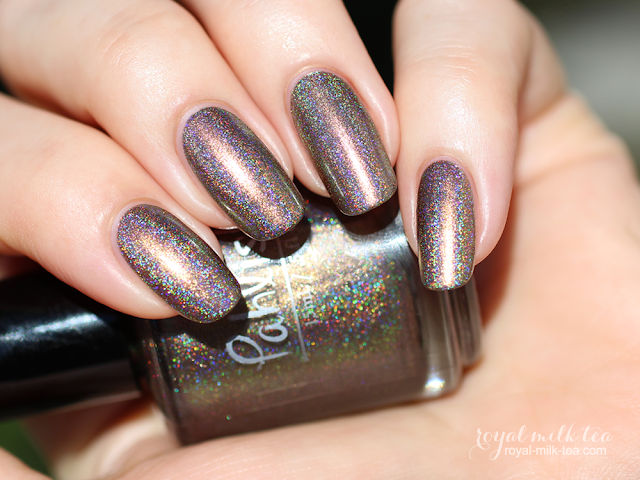 The colors this shifts through are so beautiful, very rich and earthy, and the holo is just insane! 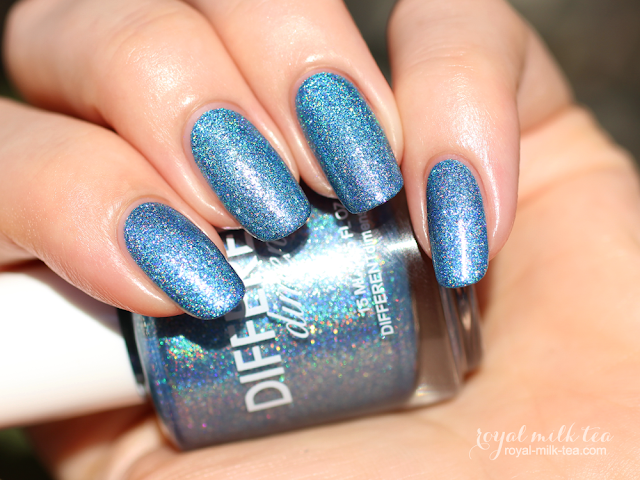 This polish was super easy to work with, and looked smooth, even, and opaque in just two coats. Shown here with three coats plus top coat. 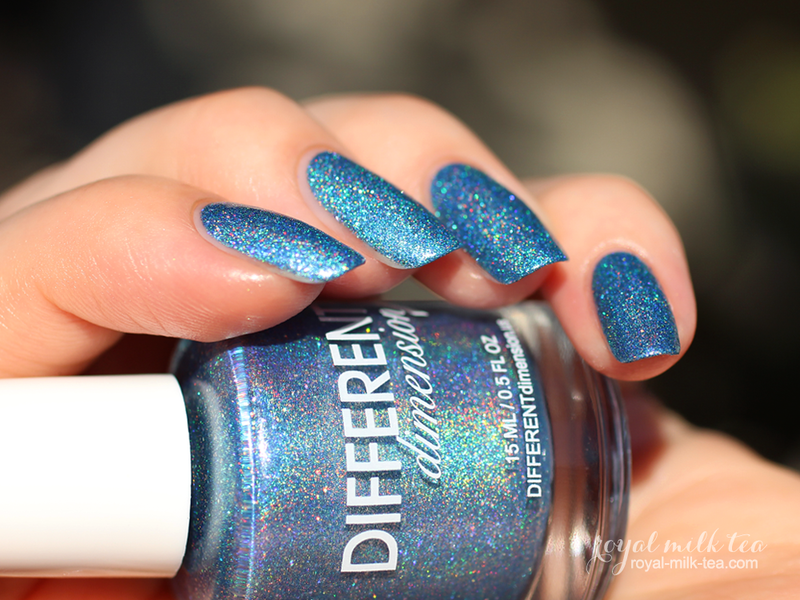 I'm in love with the beautiful variety of colors, high-quality formulas, and the seriously intense holos in each of these polishes! The Holo Hookup box for December will be available for pre-order starting Saturday, November 21st at 9pm through November 28th at 9pm. What do you think of this month's theme, and the colors inspired by them? Let me know in the comments! Products sent for my honest review. Please read my Disclosure for more information.